Simple. I saw her fly at Yeovilton during a FotoBuzz workshop at the Air Day and right there and then knew she was something special. I was transfixed by the way she looked in the air, the way that the light grabbed her. Someone standing next to me commented that she was "designed purely to look good" and I had to agree with that. That day I managed to grab this shot of her showing her lovely lines but also the very weird offset cockpit. This is because next to this one is a second, very low level cockpit that housed the observer / radar operator. We call it the "Coal Hole" and I have to tell you with virtually no view of the outside world it must have been a brave person to sit in it. Look I love modern jet aircraft, they are awesome. But there is something special about vintage jet aircraft like the Vixen. I knew that day that I wanted to work with her again, I can't describe it, she just triggered the artist in me as well as the nostalgia freak. I was hooked. 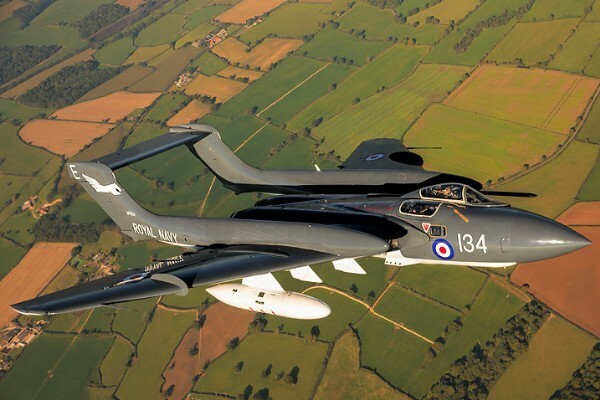 The Sea Vixen FAW2, built by De Havilland, first flew in 1962, entered operational service in 1964 and was deployed on Royal Navy aircraft carriers. It was originally intended for the RAF too but they opted for the lovely lines of the Javelin (thanks @CombatAir for info), leaving the Royal Navy to be the sole customer for the Sea Vixen. Primarily designed as a fast, missile attack fighter it could carry Firestreak, Bullpup and Red Top Missiles plus have rocket pods underneath. She never really saw true conflict but performed her duties and was eventually phased out in 1972 with the intention of replacing her with the Phantom. 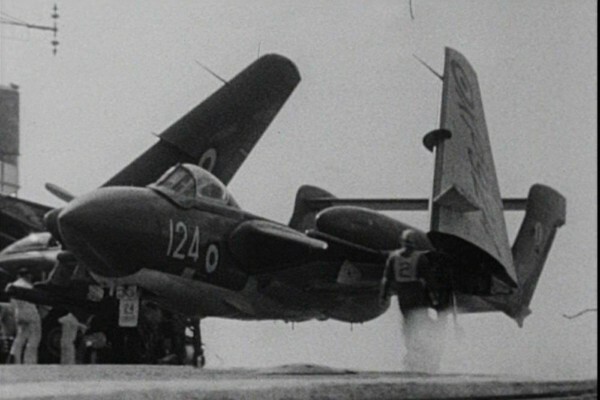 This picture shows our Sea Vixen, G-CVIX "Foxy" xp924, after a successful carrier landing. 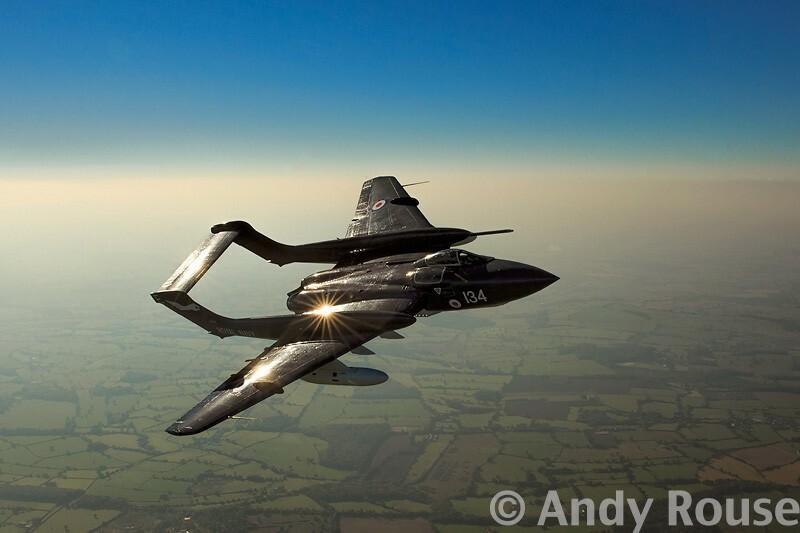 She is the last remaining flying Sea Vixen in the world. The end of the golden era of jet aviation. I had to wait a few months before I met Foxy again. A friend of mine Neil organised an air to air shoot with her, a Texan and a Seafire. The latter came first and were great but when the Sea Vixen pulled alongside she was simply stunning. It was a dodgy day for light with a haze rather than totally clear skies but I actually liked that as banking hard against the light she looked mean. 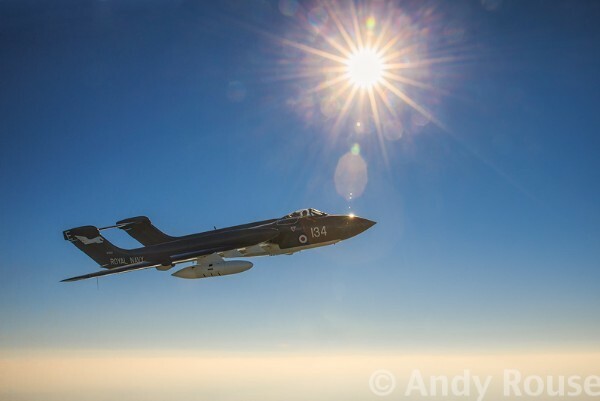 It was an amazing 9 minutes with her, being expertly flown by Commander Simon Hargreaves, and it really fuelled my love affair with her that continues to this day and hopefully well into the future. I cannot put my finger on it, she just got to me! So wanna see some pics? Well here they are, all taken with the Canon 1DX, 24-70mm f2.8L lens or 70-200mm f2.8L IS lens. More to come! 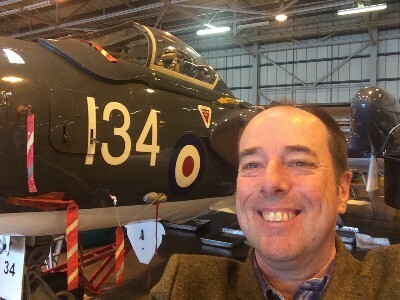 To cut a long story short I find myself standing next to the Sea Vixen in her hangar. A hangar that is steeped in history, with Phantom, Sea Fury and Swordfish in close proximity. I'm talking to the engineer about her engines, walking round her, see her close up for the first time. She's huge, much bigger than you might imagine. She's curvy too, beautifully made. So now I find myself in a dream position. I'm on the advisory team for her, sitting opposite highly skilled and motivated people from civilian and navy life. It's amazing. Of course I have always been more than just a photographer, my previous career in management and IT meant I needed a good knowledge of marketing and business. Since then I've developed some entrepreneurial skills, plus learnt PR and a lot about IT. So my role is just the same as everyone else, equal, committed to getting the beautiful girl in the air and keeping her there. 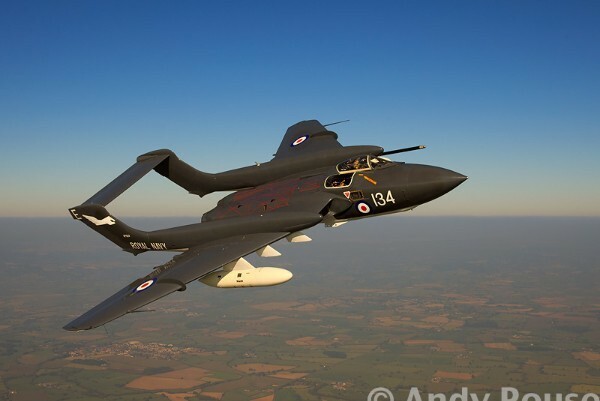 It’s an exciting year for all involved with our wonderful Sea Vixen. Under the guidance of Commodore Bill Covington an advisory team has been meeting regularly to ensure that we provide the best possible experience for you when she takes to the skies. We have a great team with enthusiasm & expertise spanning management, engineering, sales & marketing, membership, design, video, imaging and merchandising. Our aim is to make your experience of foxy a really pleasurable and inclusive one, we want you to feel part of our family to help keep this wonderful piece of British Naval Heritage in our skies & keep her there for everyone to enjoy. Right now, ahead of our first full display season there is a lot of planning and work to be done to get our girl in the air. For the past few months she’s been undergoing a full and intensive Winter maintenance schedule; since we are being extra careful these checks have been more time consuming than we planned. So it’s with great regret that we are not going to make our debut at Abingdon on the 1st May, but thank the organisers for their kind understanding and look forward to talking to them again in the future and wish them well for this years show. So, our beautiful girl will have her display debut at the Shuttleworth Navy Day at Old Warden on June 5th. 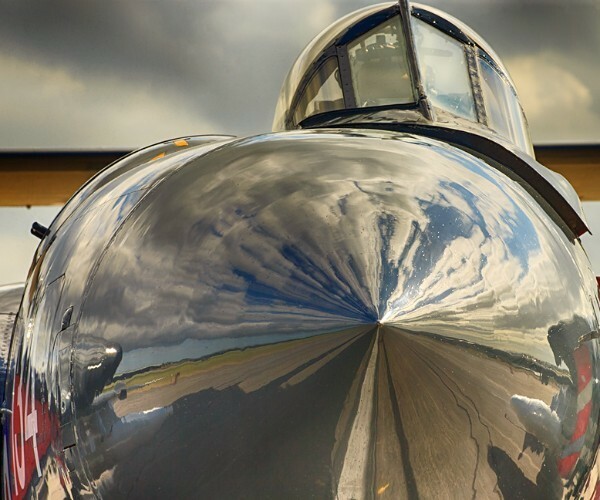 If you have never seen her fly then you are in for a treat, she literally glides through the sky reflecting light from her smooth frame like no other. She is an aircraft worth waiting for. 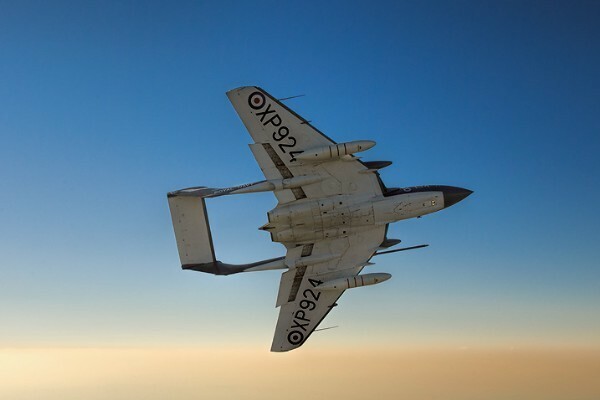 If you want to follow our updates on the Sea Vixen then you can find regular info on our Facebook page, click here to have a look and please like us!